Maxene Magalona, 'kinilabutan' sa galing nina Charo Santos at Bea Alonzo! Maxene, na-enjoy ang "Eerie" kahit hindi siya horror fan! Maxene Magalona has ticked one major item off her bucket list: working with legendary actresses Charo Santos and Bea Alonzo. 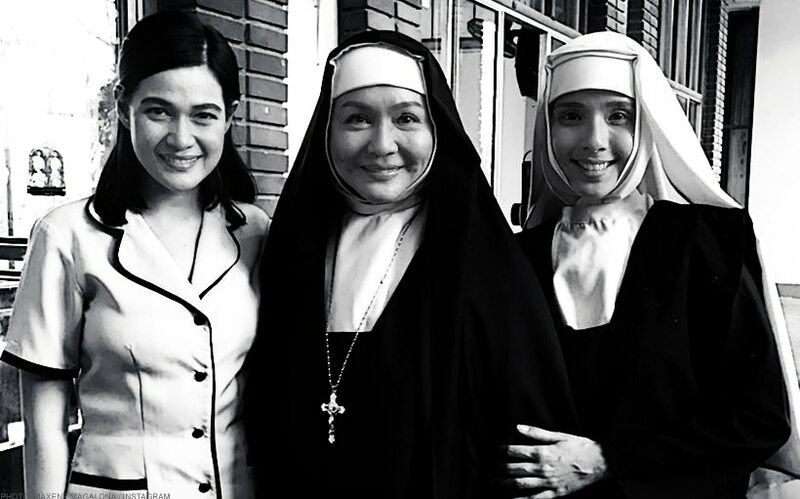 In an interview on "Tonight with Boy Abunda" yesterday, September 19, the actress sang praises for her co-stars in the upcoming Mikhail Red-directed horror movie "Eerie," where all three of them portray nuns. Maxene enthused, "Working with them on set is just so surreal. After a few minutes lang of being with them, nawala po 'yung kaba kasi sobrang simple nila, sobrang down-to-earth. Totoong tao sila." She continued, "Si Ma'am Charo, I got to speak with her for a good 45 minutes and ang dami niyang na-share sa aking life lessons na buong buhay ko dadalhin with me." Si Bea, napakahusay," she added. "We did a scene together na talagang kinilabutan po talaga ako. I'm just so grateful to get to work with these actors kasi more than anything, gusto ko lang matuto and mag-grow lang as an actor." However, working on "Eerie" was not all roses and sunshine. According to Maxene, the film is one of her most challenging projects yet, especially since she's not the biggest horror fan. She explained, "I've never played the role of a nun before. Nakakatuwa na nagampanan ko 'yun. Ako, honestly, hindi ako nanonood ng horror so ito po medyo challenging siya pero excited akong makita." Eerie," which also stars Jake Cuenca, will hit cinemas very soon. Maxene is part of the new romantic comedy series "Playhouse" led by Zanjoe Marudo and Angelica Panganiban. She previously appeared in the movie "Love Me Tomorrow" as Dawn Zulueta's daughter. It's a wrap for 'Eerie'!